©Barry Sandland/TIMB – Brompton rider and his essential commuter carrier bag. Photographer’s notes: OK, the bike is a little obscured, but this is a well-worn, decade old Brompton, still doing its service . True to city centre riders, the bike is simply used. No idea of the miles done, just a list of destinations the bike carries him. Most city centre riders severely underestimate the distances covered, thinking everything is “just here”, or “just there”. In truth, it is one kilometre after another being added to the daily total. It is just, you are on a bike, enjoying the ride, and the distance disappears. 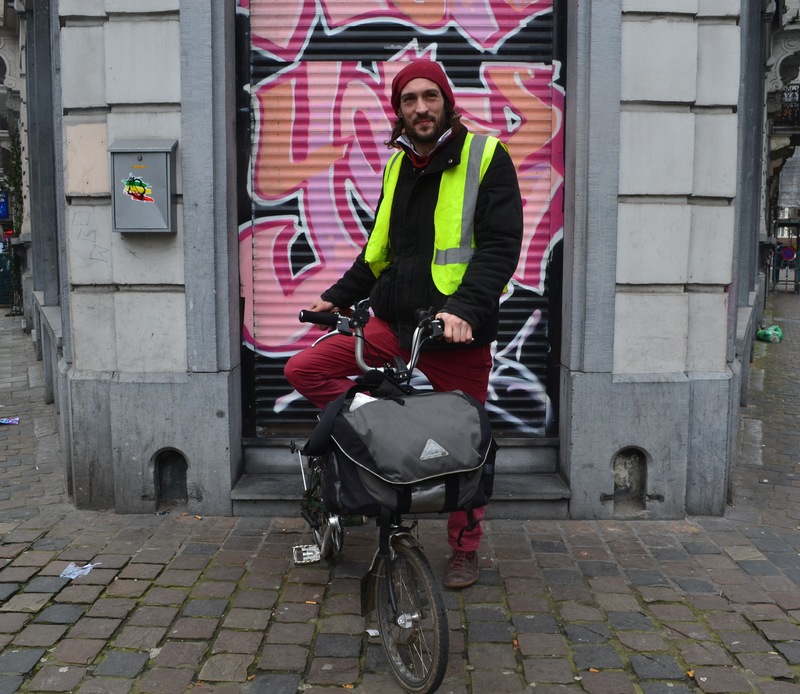 This entry was posted in city bike, Europe, foldable, Uncategorized and tagged 2015, Brompton, February. Bookmark the permalink.